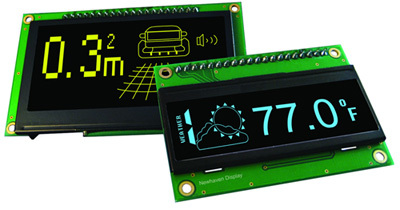 Why do we use I2C OLED displays? They are pretty to look at, elegant and power efficient. Unlike other interface, the I2C interface only requires 2 GPIO pins, freeing other GPIOs for your sensors and actuators. 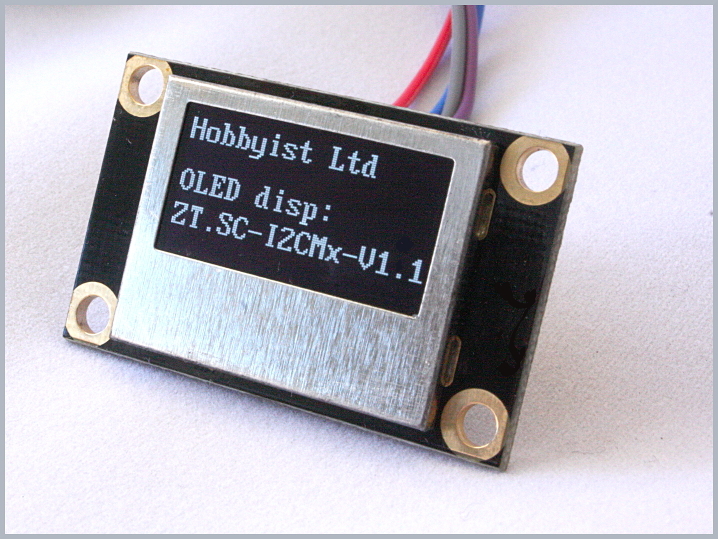 The OLED display uses I2C bus to communicate with the Arduino. The I2C bus can support multiple devices and each device on the I2C bus has a uniqe address. The Arduino code uses this address to communicate with the OLED display and sets its internal registers and memory to display data on the screen. 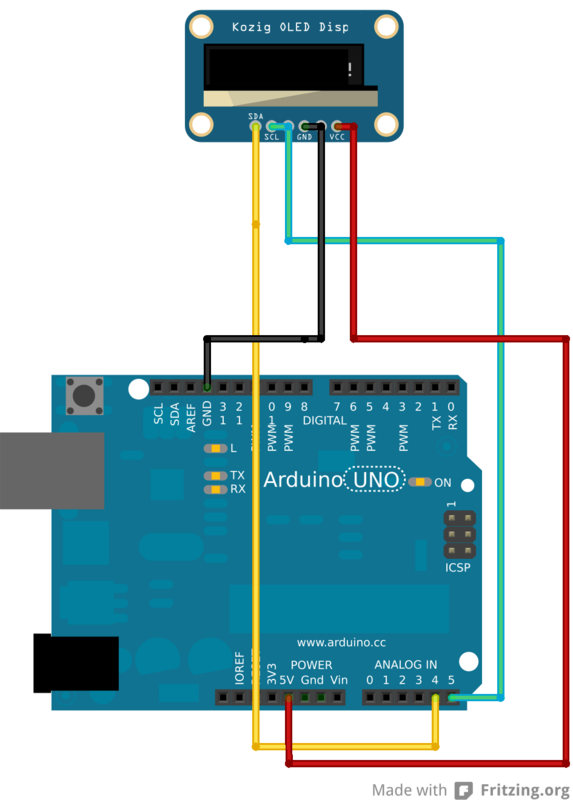 Two pins SCL (A5), SDA (A4) in Arduino Uno are used for communication. Once the above wiring is done, download the library below to the libraries folder in the Arduino IDE installation, in mine the directory looks like this "c:\arduino-1.0.5\libraries". Compile the example and download to the arduino. If you can get to this point, congratulations, you have got your OLED sorted. Please proceed to the next step.